Looks like Apple is going down the bad books of not providing proper privacy to its customers. Nearly 27,000 South Koreans filed a $26 million class-action lawsuit this morning against Apple for alleged privacy violations stemming from the company’s unauthorized collection of iPhone users location information. The suit follows an onslaught of complaints and investigations in response to Apple’s announcement in April that its phones were collecting location data and sending it anonymously to the company’s servers. The company also revealed that a software malfunction caused iPhones to continue sending information even after users shut off the location-sharing settings on their device. One of the groups attorneys took the tech giant to court over the issue earlier this year and was awarded $932 in damages. That may seem like a low figure, but multiply that by the 26,691 individuals currently involved in the lawsuit and you get a whopping $24,876,012 . South Korea’s telecommunications regulator also fined Apple’s local operation $2,807 earlier this month for violating the country’s location information laws. 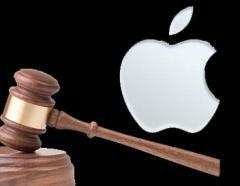 The iPhone maker faces similar investigations in Europe and the United States, where fines are usually higher. Next HP Slashes TouchPad to $99!